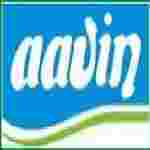 AAVIN Milk recruitment 2018 notification has been released on official website www.aavinmilk.com for the recruitment of 02 (Two) for Extension Officer Vacancies. Job seekers should apply on or before 10th January 2018. Here on this page you will get the details like the Name of vacancies released by AAVIN with exact number of posts. Some other criteria like Education details, application fee and way to apply application for AAVIN recruitment 2018. Educational Qualification: Graduate in any discipline and have passed in Cooperative training and completion of 10 years of service in MPCS or pass in 10th std/SSLC exam or its equivalent and have passed in cooperative training with 15 years. Fee charges: Applicants who wanted to participate for AAVIN should pay the below charges through Demand Draft drawn in in favour of The General Manager, Tirunelveli District Co-operative Milk Producers Union Ltd.,” and payable at Tirunelveli. Interested and eligible aspirants may apply in prescribed application form along with self-attested Xerox copies of all certificates send to the General Manager, The Triunelveli District, Co-operative Milk Producers Union Ltd., Reddiarpatty Road, Perumalpuram Post, Tirunelveli – 627007 on or before 10.01.2018.